Certainly, brothers and sisters, we all seek the fruit of the Spirit; to live in a world of love, joy, peace, patience, kindness, generosity, faithfulness, gentleness and self-control, but we cannot enjoy the fruits without first suffering the vegetables. As children we indulged ourselves in treats, ignoring that which is necessary to keep us strong and healthy in favor of that which is sweet, but will give us a bellyache if we indulge too much. No, our Father who knows what is good for us gives us the important, which is often not sweet or good tasting, so that we might thoroughly enjoy the good, which fills us with delight. Mature Christians, brothers and sisters, live a balanced diet, producing both the fruits and the vegetables of the Spirit. Fruits were always easy to swallow — many vegetables were difficult to choke down. Fruits were good; many vegetables simply necessary or required. Fruits – positive; vegetables – negative. 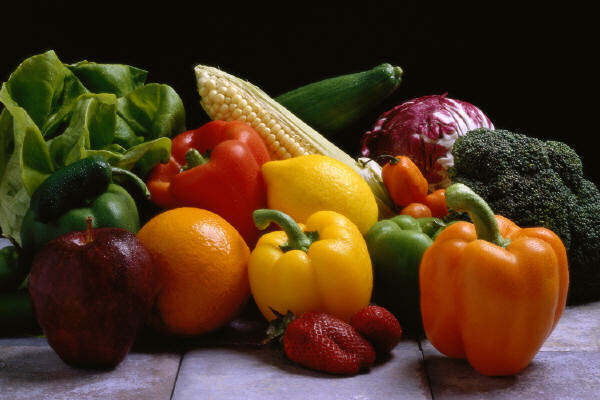 Fruits – benefits; vegetables – costs. Talk to any kid. At least nine-out-of-ten of them will concur. And yet, they ARE good for us. We DO need them for good health. They do end up making the sweet sweeter, if for no other reason than the fruits erase the icky taste of the vegetable. Duty — doing that which is right and necessary, not because we want to, but because it is our responsibility. There is much in our life of faith that isn’t fun or fulfilling, but it is required nonetheless. Without a sense of duty, we become complacent consumers, not disciples. Without a sense of responsibility we are more than happy to leave the work of Christ to someone else. Why should we bother? Someone else can do it for us. Justice — the dawning realization that our faith isn’t all about us and that Jesus was actually serious about caring for the poor and marginalized and those whom the system crushes and disadvantages. We might have to grant a higher premium to being “fair,” than to being “right.” We might learn that it is not only more blessed to give than to receive, but it is expected. To do right is more valued than being righteous. To care more for another — whether he or she deserves it or not — may be our highest goal and greatest challenge. Perseverance — sticking with the difficult tasks regardless of whether we like them, are affirmed by them, or desire them. Disciples never retire and they don’t look for the next generation to come along and relieve them. They don’t cut their losses, give up, or take their ball and go home. Disciples strive to find solutions, build bridges, repair broken systems and heal broken relationships. Not everything in the disciples job description is fun or easy. Mercy — giving people what God wants rather than what they deserve. Discerning the difference between consequences and punishment; accountability and judgment; correction and vengeance. Allowing that each person is a valuable creation of God and that were the situation and our roles reversed, we would hope for every benefit of the doubt and measure of forgiveness. To operate by grace rather than law is truly countercultural and counterintuitive. Sacrifice — giving instead of getting is anathema to most human beings. To let go — of possessions, principles, pride, power, position or popularity — offends every sensibility of our human nature. We want, we desire, we need — we are the center of the collective universe and to do without, to relinquish, to self-deny is crazy. Sacrifice moves us from the center and God’s will to the center. It reorients our entire life from receiving to giving, from hoarding to sharing, from comfort to true community. Compassion — that level of empathetic connection that moves us into relationship with those in greatest need. We no longer decide who to help, but how to help all in need. We are motivated to go where the need is, to work alongside those in distress, and to offer aid and comfort wherever and whenever possible. Hunger, thirst, disease, emotional distress, displacement, homelessness, mental illness and economic injustice become our sworn enemies, and we rest only when each and every one is eliminated (i.e., never). Accountability — holding one another faithfully to the promises we make to God and one another, accepting that all actions — positive and negative — have consequences and that we must live with the decisions we make. Reward and punishment are a part of life — receiving accolades when we perform well, approval when we do as we have promised, and paying the price when we fail to perform well or perform badly. The pathway to Christian growth and development means we must do what we say, and if there are no consequences to breaking promises, failing to uphold vows, or ignoring commitments, we will never become who God calls us to be. Vegetables rarely have the same appeal as fruits, yet they are every bit as important, nutritious, and necessary. Yes, we will be known by the fruit we bear — but what about the vegetables? How might our faith communities change were we to become a bit more vegetarian in our spiritual formation? May we make sure we clear the plate, giving as much attention to the veggies as we do the fruits (and the meat and grains and poultry and fish), and maintain a more balanced diet in our Christian living. Dan, may I quote you in part and use your vegetables idea in a sermon? If so, what info would you want me to include in the bulletin, in addition to your name and this website? Kathy, quote away! If you mention my name and the website I would be delighted. Glad it is something you want to pass along. Sorry I won’t be in the neighborhood this weekend… but if I ever head your way I will let you know. After reading your article I am currently planning a sermon series on Vegatables of the Spirit…followed by fruits of the spirit…it acutually seems to be fun, and the congregation is looking forward to it..
Let me know how it goes — and I am very glad you found some value in it! Ron – Would love to hear how this series goes and the response – it’s a topic I’m passionate about. Could you email me at Rich@richgerberding.com ?